Chardonnay is a versatile grape. 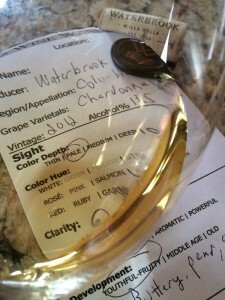 There are so many things I winemaker can do with Chardonnay. The winemaker can ferment is stainless steel or in a neutral wine barrel. He can allow Malo-Lactic Fermentation MLF (many times called secondary fermentation). When a winemaker chooses MLF, the malic acid in the juice is converted to lactic acid and creates Diacetyl. Diacetyl gives the wine a buttery taste and nose. If the winemaker chooses not to allow MLF the wine is generally fruitier and crisp. If the wine is fermented in a neutral wine barrel the wine generally has a rounder mouthfeel and is not as crisp. There are times the winemaker may do both (ferment in the barrel and stainless steel tanks) and blend the wine to his liking. Finally, the winemaker may blend another white wine for a different style. Pale color depth with a gold hue. Moderate, young-fruity with aromas of butter, pear, and apple. Dry, medium-bodied and a little tart. Initial good starting flavors with a slight sharp mid-palate finish. 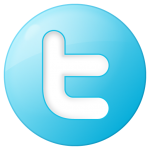 Region/Appellation: Washington State, Walla Walla. 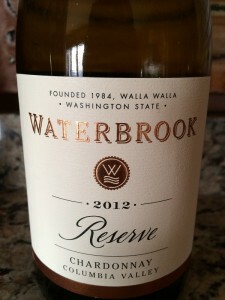 I rated the 2012 Waterbrook Chardonnay three glasses.